The cost of construction comes to around Rs 1,200 crore and covers 400 acres of an ecologically fragile area around the dam. Krishnaraja Sagar DamEngineers said that the inevitable blasting required for excavation for the foundation of the 125-foot-high statue and making a deep excavation so close to KRS dam can endanger the dam..
Bengaluru: An online campaign by Jhatkaa.org against the installation of a Cauvery statue and the proposed theme park at the Krishnaraja Sagar Dam in Mandya district has garnered over 9,000 signatures. 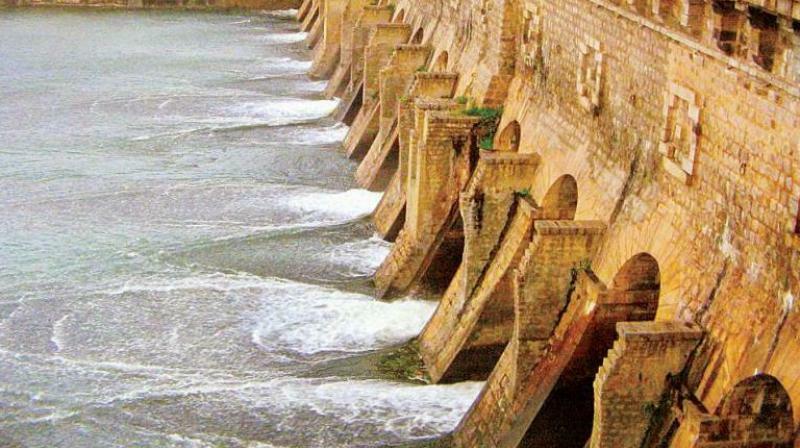 The petition says that the Cauvery river, which is an important source of water for the city, should not be wasted by building a structure that will be disastrous to ecology. Farmers said that the proposal is a bid by the real estate mafia to acquire fertile land around the dam. The project would draw large amounts of water from KRS dam and affect the city water intake, which has already been contested by Tamil Nadu. Engineers said that the inevitable blasting required for excavation for the foundation of the 125-foot-high statue and making a deep excavation so close to KRS dam can endanger the dam. Jhatkaa.org filed an RTI in the beginning of this month with Ministry of Environment and Forests, Ministry of Tourism, Ministry of Housing and Development and the Chief Minister to get clarity on the project.